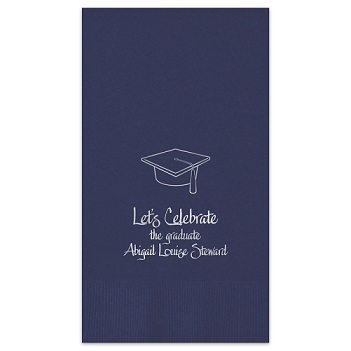 Celebrate the proud graduate's accomplishments with a party he or she will always remember. 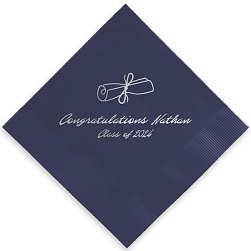 Our Graduation Foil-Pressed Guest Towels are beautifully produced with up to three lines of personalization, including things like the graduate's name, "class of" year or another line. Choice of paper color, foil ink color, lettering style and either diploma or cap and tassel motif. A nice touch: choose the graduate's school colors. Bordered edge.